It’s rare enough in 2018 to be able to review a brand spankin’ new album by a band that was around back in the heyday of the NWOBHM, but Newcastle’s SATAN hits the trifecta by not only Being British, but having the full lineup from what most say is their finest hour present and accounted for to boot. Now, let’s just get this out of the way; "Court In The Act" this is not, and isn’t that the real struggle with an act that has a landmark album, especially so early in its existence? On the part of the band, it’s worried about not retaining that sense of vitality, let alone surpassing what’s come before. For us picky geezers, we almost beg for disappointment, tarnishing what would otherwise be a fine album because it’s “not the same as…”. The good news, though, is that I’m not sure "Cruel Magic" is trying to be anything but itself. ‘Into The Mouth Of Eternity’ is quintessential SATAN, blue-collar thrash riffing with [Brian] Ross’ vocals boisterous as ever. Admittedly, the man’s delivery is an acquired taste, but newcomers will find in his clear baritone something different than the snarl ‘n’ snipe of most of today’s current crop. The title track follows, Graeme English’s galloping bass the focus, forward in the mix, unable to be ignored in that early Roger Glover/Gary Thain style that made their respective tenures in DEEP PURPLE and URIAH HEEP so memorable. Ross, in my opinion has never gotten his due as an influence – possibly subconscious, but there still – of Warrel Dane (R.I.P) and Robert Lowe, nowhere more evident than in the uber-dramatic rendering of ‘Ophidian’, musically lurching and slither-slinking its way through history. SATAN has never shied away from realms political, and ‘Death Knell For A King’ is timely has ever in this age where only desire for power reaches across the aisle, and then only to throttle the opponent, the theme continuing in ‘Who Among Us’, the lyrics “The words of Christ must have fallen on deaf ears and stony ground / For His disciples took His wisdom and twisted it around” poignant as ever. 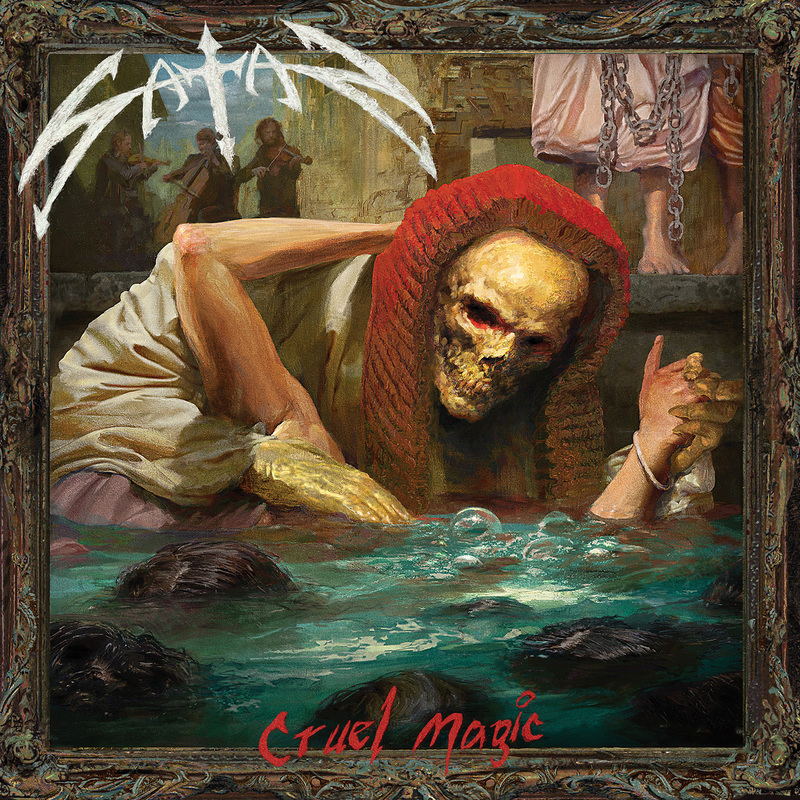 In all, these forefathers of an entire genre have proven with "Cruel Magic" that, though its members may be long in the tooth, that tooth is still dangerous when in the mouth of SATAN.